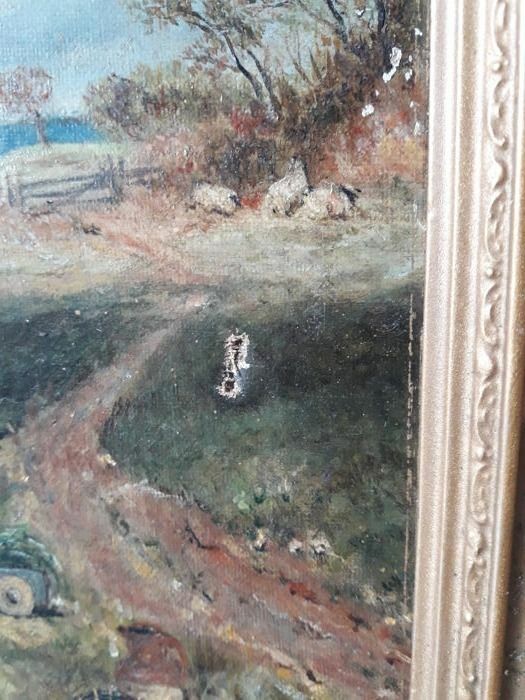 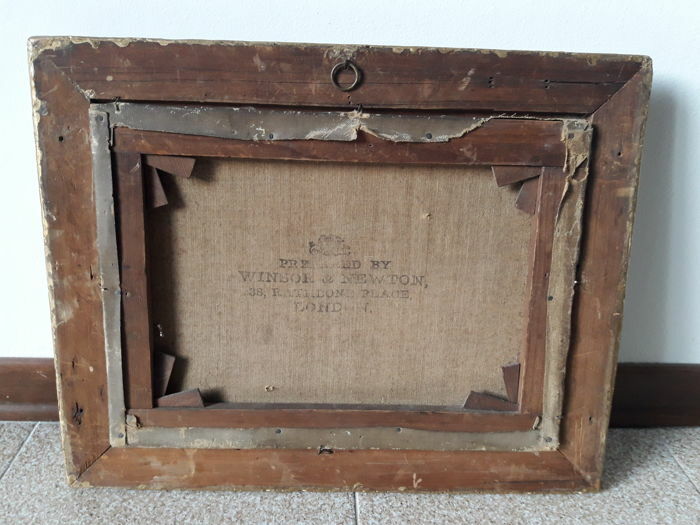 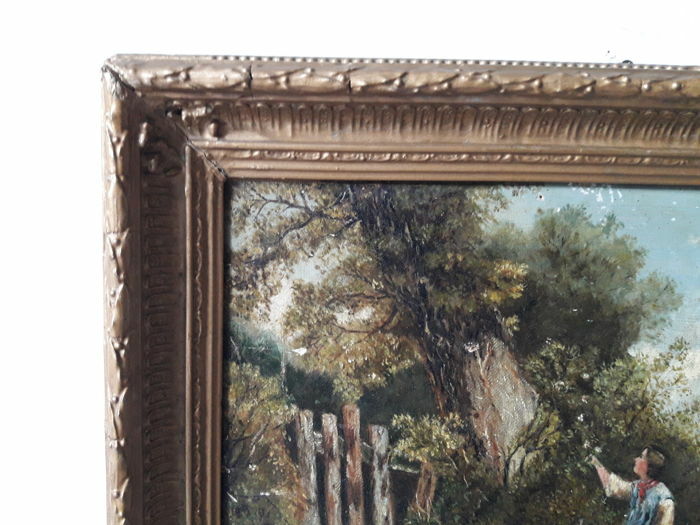 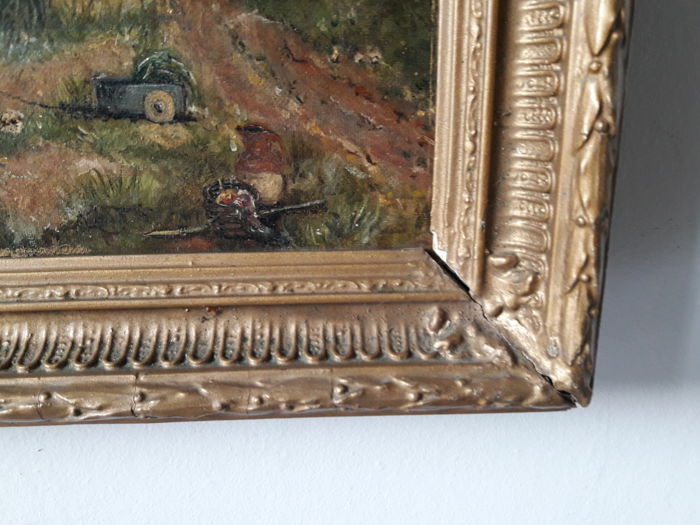 The work is to be restored, as it shows small holes in some places, and the frame needs some works (see pictures). 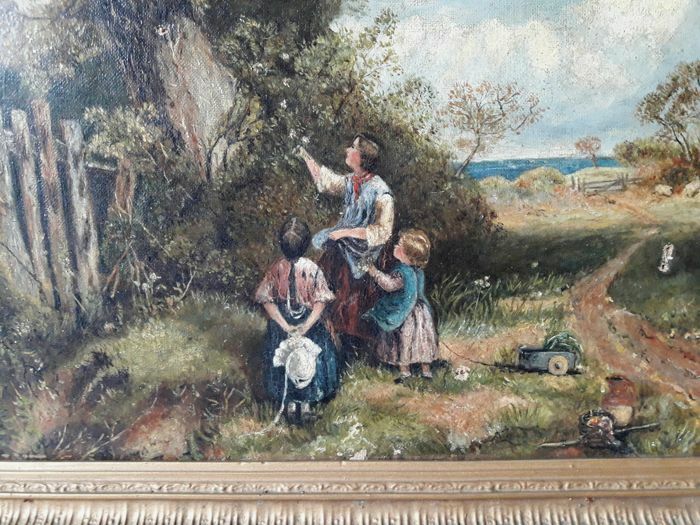 Antique late 19th-century oil painting by the English school. 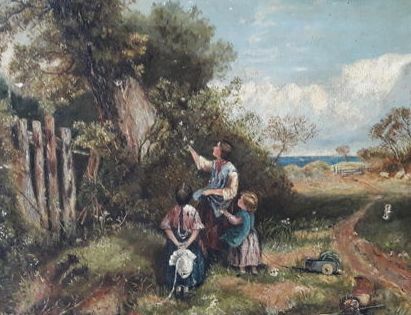 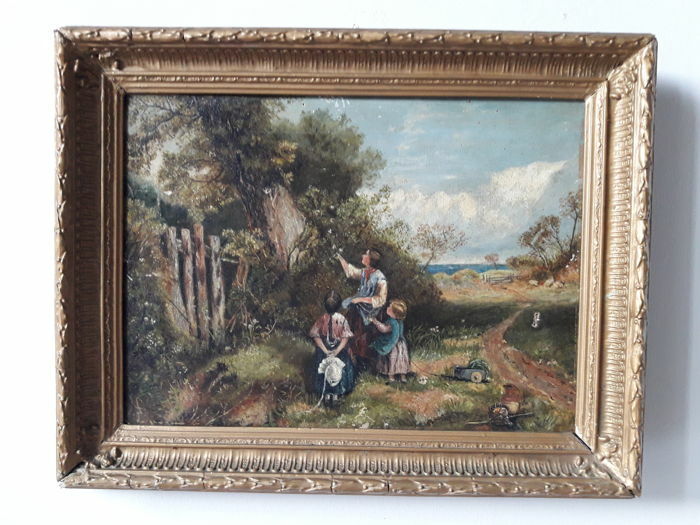 It depicts a peaceful countryside landscape of the English coast with two girls in the foreground with toys watching their mother picking up berries for them. 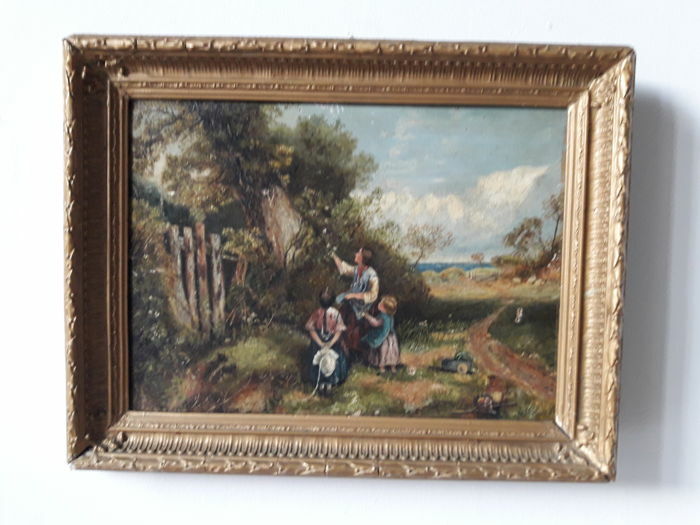 A work of of excellent pictorial quality, unsigned. 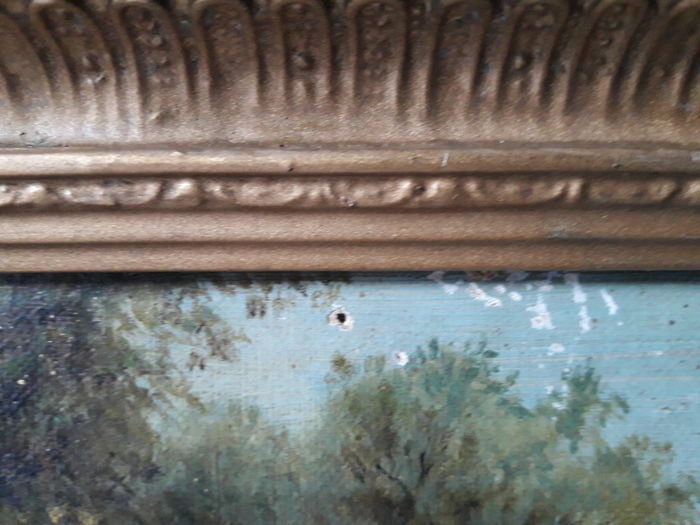 Author signature: not present (anonymous). 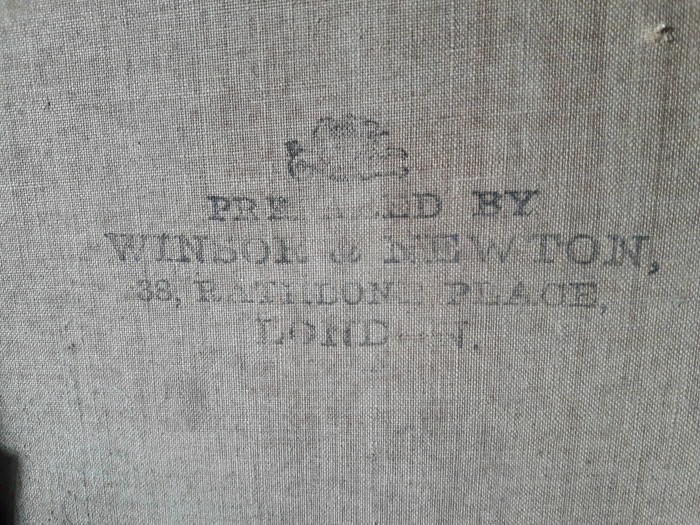 Dimensions: canvas is 38 x 28 cm. 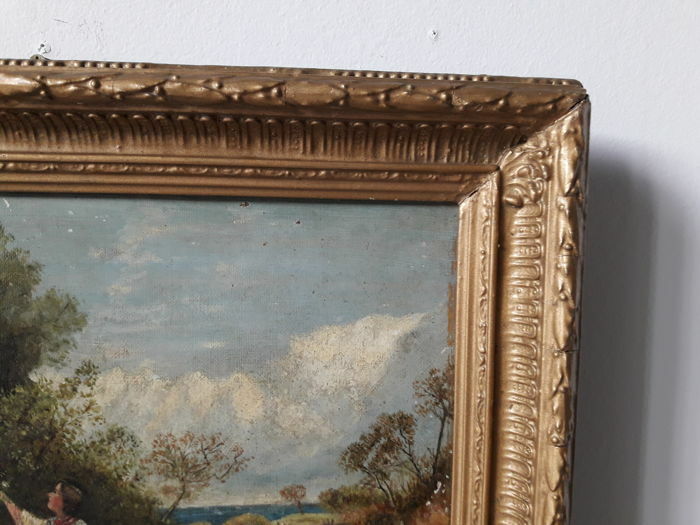 Overall dimensions, with frame: 47 x 37 cm.